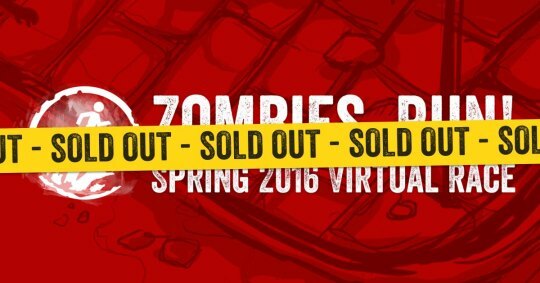 Spring 2016 Virtual Race: All Sold Out! – Zombies, Run! Spring 2016 Virtual Race: All Sold Out! Wow. With 5000 runners signed up from all over the world, the Spring 2016 Virtual Race is now sold out! Thanks to everyone who’s joining us – we can’t wait for you to get your hands on the incredible new missions and the luxurious race pack. Click to join the ZR Events List! Previous Post 500 Entries Left for the Virtual Race! Next Post Flexible Training Plans, Countdowns, and more!